India being the fastest developing economy in the Asia region is all set to make its mark amongst top 10 Business Friendly countries in the world. But to reach this level it has to still battle a lot of evils. Failure to recover debt is one such evil which India is constantly fighting against. The law is established, only implementation is the biggest task. Though separate tribunals have been established to deal with debt recovery, the corporates are still standing in long queues of civil courts to claim their unpaid debt. Let’s find out from this article how corporate bodies can recover their debts and discuss in brief about the scope of Order 37 of Civil Procedure Code ( CPC). How this section is invoked and how it deals with debt recovery. What measures can creditors/corporate bodies take? Order 37 of CPC that is the summary suit or generally called as recovery suit can be invoked by the plaintiff at the district court falling within the jurisdiction of the cause of action. The rules regarding summary procedure or suit shall apply to the following courts, namely: (a) High Courts, city civil courts and courts of small causes; and (b) other courts. In respect of the courts referred to in cl. (b), however, the High Court may, by notification in the Official Gazette, restrict the operation of this Order only to such categories of suits as it deems proper and may also, from time to time, by subsequent notification in the Official Gazette, further restrict, enlarge or vary the categories of suits to be brought under the operation of Order 37 as it deems proper. (Order 37, Rule 1). Word ‘trial’ in S. 10 is not used in its widest suit. The concept is not applicable to subsequently instituted summary suit and hence these cannot be stayed. In light of the above facts, if the measures are complied with then debt recovery would become an easy process. And if you’re looking forward to get back the unpaid money that belongs to your business then taking outside help from these dedicated organizations is a great deal. Paying a little amount to recover your debts will save time and fame of your company and without much efforts money will also flow back to your account. 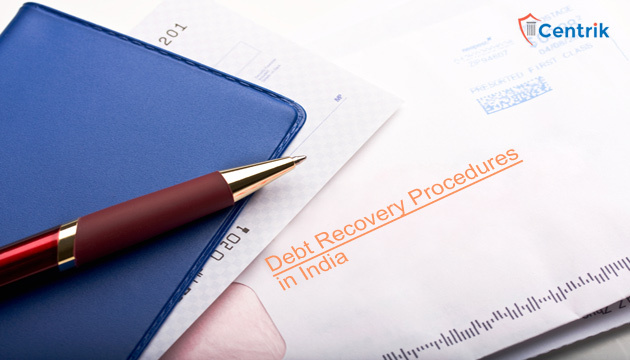 Debt recovery management is now making its way in the market and emerging as a new trend to recover bad debt, and ease the corporate bodies of the dues owed to them.